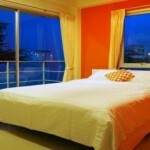 Are you looking for a cheap hotel in Bangkok with free WiFi. Then look no further because I have an up to date list of the cheapest hotels in Bangkok that offer free WiFi to it's guests. 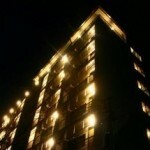 This is one of the cheapest hotels in Bangkok that you can find. And I say it's a hotel not a hostel because you actually get your own room. For the price it can't be beat. Laid back and casual environment is on the famed Silom road close to Patpong. This might not seam cheap at 1000 thousand baht but it is a steal if you think about the location. 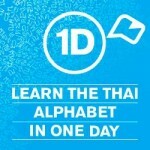 Good for cheap business people and travellers to Bangkok alike. 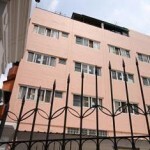 The Madee Hostel is a great place for backpackers who are looking for a Dorm room in Bangkok. The prices are fixed but they are cheap. There arn't a lot of hostels around that do offer free WiFi in Bangkok so this is one that is affordable. It also has a female only dorm rooms. 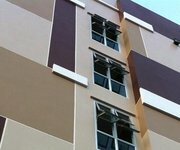 Another great budget accommodation for the cheap traveller to Bangkok. This Hostel is actually well appointed compared to others, is clean and the crowd is good also. They have a really really good breakfast too, worth the upgrade because decent breakfasts cheap are hard to come by. The Son Hotel in Bangkok isn't the best located hotel in Thailand, it's geared more to the Thai traveller than the world traveller, however this makes it a cheap stay and WiFi is included. One of my favourite places to stay on Sukhumvit because it's close to all the action and nightlife. This hotel is a cheap deal for what you get and the location. 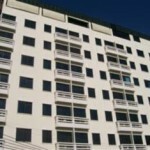 The hotel has about 44 rooms so it's not always fully booked which is good for the last minute traveller. 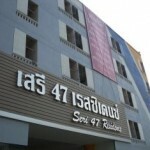 This hotel is located near the Bangkok Airport, I chose this as a great place for a night stopover in Bangkok, if your not really going to be going anywhere and need to be near the airport the Seri 47 Residence is a great place to stay. It offers free WiFi and plenty of parking! 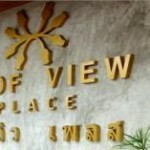 The Roof View Place Hotel is located in the Khao san road, so backpackers will love this joint. It's got really good dorm style rooms for you and your mates. Has free WiFi of course. This place is really popular for some reason, this is good for you if you like to make new friends, it attracts a younger crowd. This is my all time favourite hotel in Bangkok. I really do stay here a lot. Why? 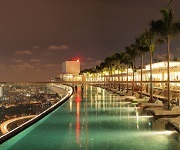 Because it has this huge rooftop area where you can go and is pretty private no one ever goes up there. This cheap hotel is also right by Soi Cowboy in Bangkok which is why I have it as my all time favourite cheap hotel. The online price is cheaper than at the door too! I love the name of this hotel, makes me just want to sleep. For a cheap hotel it still is a little expensive at almost 900 baht, but Bangkok isn't as cheap as it was 20 years ago anyway. You get your own well appointed room and is close to the biggest Sunday market in Bangkok which is great for shoppers. Thanks to the advise given here, I stayed at the Sam’s Lodge for over a week. 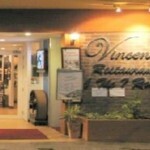 A small well run place with helpful staff, in a good location. – Ask for a room that has a window. – The room had all the basics and everything worked properly. – The internet booking facility is not a real one, just a ploy to catch your credit card details. You still have to pay when you check in. I prefer to use agoda, or you can just call them to make a booking. i m vicky i visit bangkok atleast 4times in an year and come for my bussiness.saw ur site was helpful.would like to have some good massage at end if day.but as a outsider some massage parlours take more money than what they say .so if you could kindly guide me which massage parlour is good for service abd proper rates with beautiful thai girls. thanking you, waiting for your information.